What a funny parade! 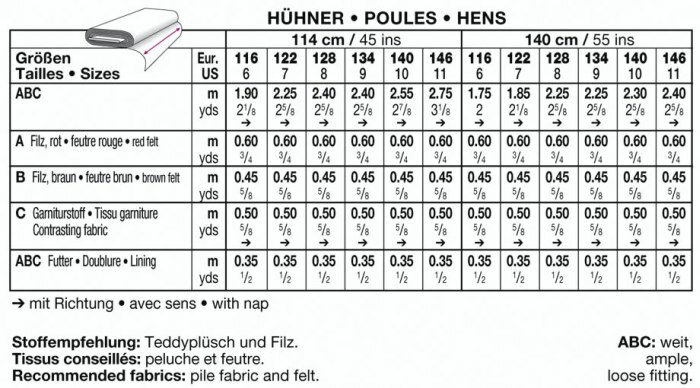 Choose between cockerel A, chicken B and chick C. The jumpsuit/overalls are comfortably wide, so there’s room for a warm pullover underneath. 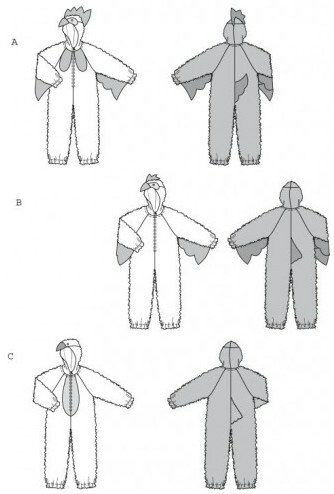 The beaks and upper parts of the hood are stuffed.